Wow – what a blast! 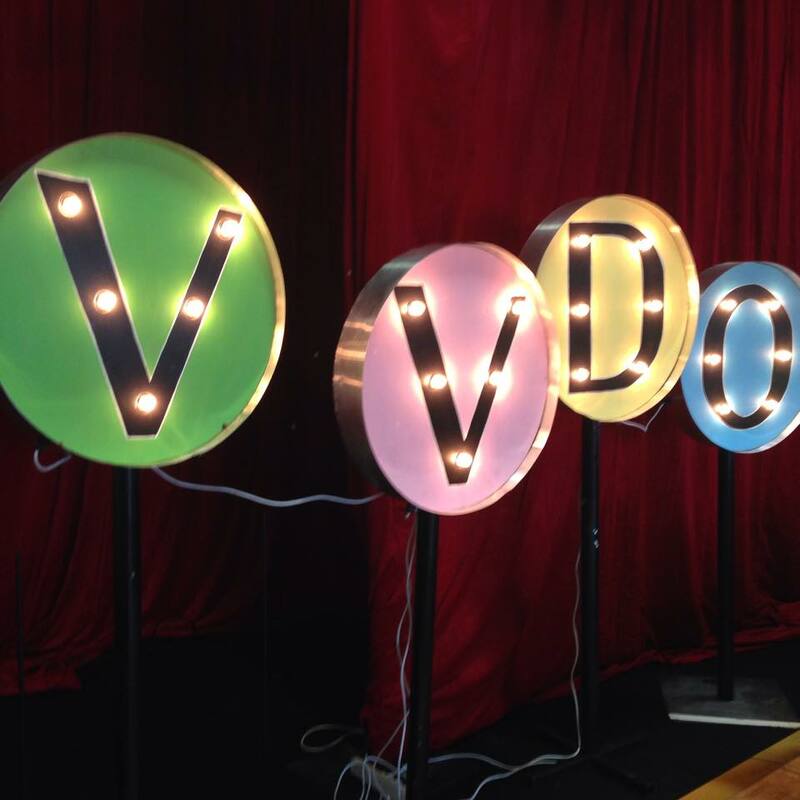 This year was the first time I had attended the Very Vintage Day Out – you could say I was a VVDO Virgin! Anyway … I will most certainly be back next year – I had a brilliant time! I met some incredible people whom I’ve only “met” online before; I saw some old friends; I met some new “in person” friends; I viewed a whole lot of vintage goodies; I bought a few goodies (! ); I had my do did; I listened to some awesome music; I watched some gorgeous burlesque and then I savoured the long-anticipated Miss Pinup NZ 2015 competition – congratulations again Bettie Rage! And all that excitement happened without me even staying for The Wildcat Shakeout that night or the Tiki Party the next day – slap on the wrist – where do I sign up for next year’s events?! Ok … so I started off my day relatively early – I got a coffee on the way and then road-tripped up to Auckland in my little red Beetle, Milly. I found my way straight to the VVDO venue – those of you who know me will probably be as surprised by that accomplishment as I was! Once I got to the car park at Alexandra Park, all I had to do was follow the trail of well-dressed people inside. The first person I saw once I got inside was my lovely friend, Michelle (aka Lady Kittyhawk) from Debonaire Do’s – she was working the Pamper Parlour and we had a bit of a chat and I decided to book in to get my “do did.” Whilst I do love the vintage styles, I really don’t have the patience or the skill to do them myself, so I decided I might as well pay someone else to do it for me. And so I did, and Claire was fabulous. Here is my transformation … what do you think? Pic one = me with my plain do selfie-ing with Miss Mollie Tov; pic two I am selfie-ing in mid-getting-vintage-do; pic three = new vintage do selfie-ing with Lady Kittyhawk. My first non-planned purchase was a green cropped cardie from Rita Sue … and yes, I DO need seven of those cardies – thank you for asking! I have wanted that lovely bottle green colour for a long time now and the cardie looked so lonely being the last one there on the rack – I really was just doing it a favour. I also purchased some cute little hair roses, which I was very pleased about because as I don’t have a lot of hair, the bigger ones sometimes look like I have a garden growing out of my head! I did VERY seriously contemplate purchasing this dress below … a PUG dress from Bombshell Clothing. Because it wasn’t really in my budget, I text my partner hoping he might offer to buy it for me (** wink wink **) but he didn’t like it at all (**insert sad face here**) Now that wouldn’t always deter me, but in this case it did. And my wallet is thanking me for it, if not my wounded sartorial soul. Anyway … enough blathering about my purchases. It was amazing to meet so many gorgeous girls in person whom I had “online met” through doing my Pinup Platoon series. I met Miss Glamour LaRue, Miss Rouge, Miss Lorelei Louise and Heidi Heart and it was lovely to catch up with Soda Fontaine and Miss Charlotte Cake again, although I missed Bettie Rage. Somehow I missed out on meeting Fancifora Foxglove, Agent Bluebelle and Madam Rou, which I was a bit sad about – but there’s always next time now isn’t there?! I also enjoyed meeting Miss Creep Cake, Amber Bambi and Danielle from Devel Branded, not to mention Lilly Loca! And catching up with all sorts of fabulous Glamilton ladies who all road-tripped up in their gladrags and were having a ball! And of course, there was Sam. And Belle. Dancing to Sal Valentine & The Babyshakes (who, by the way, were awesome.) 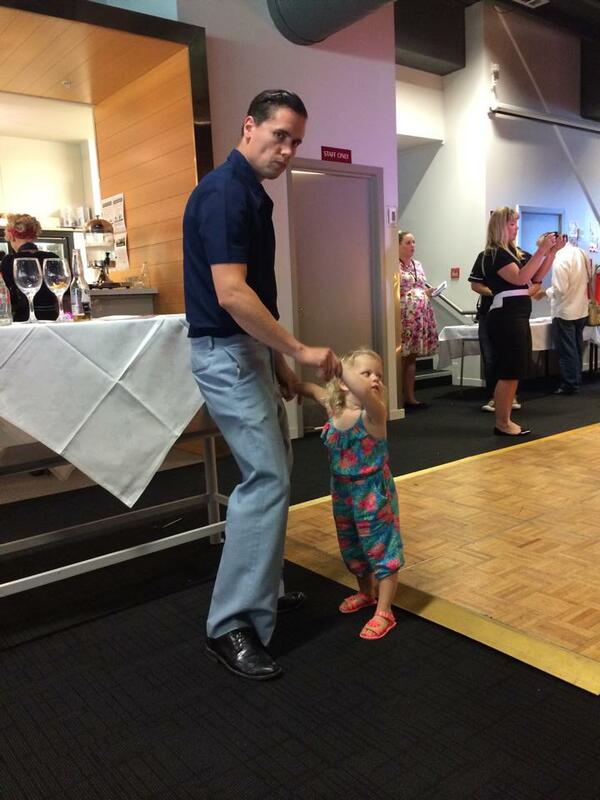 So cute – such a good Dad. Because I was a clever little bunny, I decided I would find myself a seat nice and early so as not to be left standing when the Miss Pinup NZ competition started. I sat next to a lovely lady from Auckland and we had a great chat; despite being concerned the VERY drunk girl in front of us might well vomit on our fabulous shoes; we are now FB friends. Ain’t life grand?! Anyway, we both really enjoyed the burlesque show … well done to all the lovely ladies who performed – they did an awesome job. 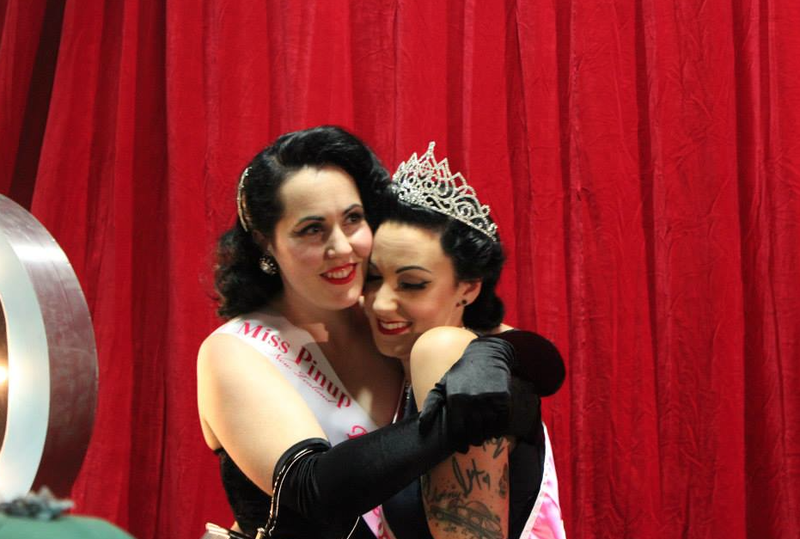 And then, the Miss Pinup NZ 2015 competition kicked off – and it was BRILLIANT! I loved every minute of it and I really don’t envy the poor judges (shoutout to Rose, Ruby and Tami) – they had a very, very tough job. The girls all did so incredibly well, their outfits were spectacular and you can just tell they all put their heart and souls into it. MC’d by the hilariously inappropriate Miss La Vida, it was a show filled with humour, fashion, pinup style, glamour, sophistication … you name it, it was there! And a massive congratulations once again to Bettie Rage, who took out the sash and tiara!!! I LOVE this pic of her and runner-up, Miss Charlotte Cake. So cute! Goodness, this is a verrrryy long post now isn’t it?! If you’re still with me, thanks for reading! Lastly, a big congratulations to Talia – VVDO is her baby and what an awesome job she did to make the 2015 VVDO such a success. 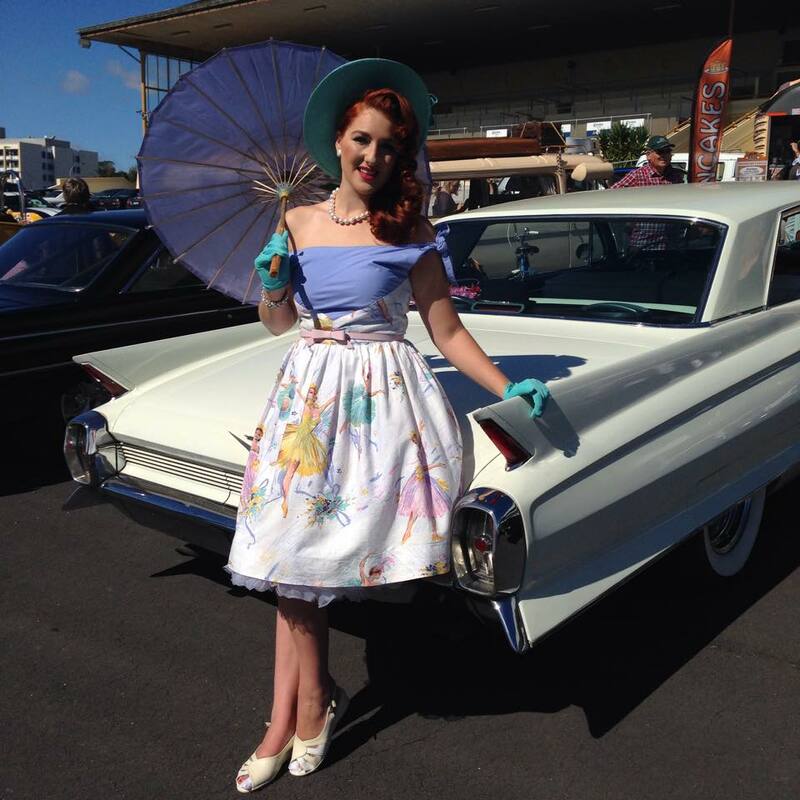 Posted on April 14, 2015 September 30, 2018 by MumptyStylePosted in Burlesque/Pinup, Fashion, Mumpty Reviews, Mumpty StoriesTagged Miss La Vida, Sal Valentine & the Babyshakes, Very Vintage Day Out.